Fred and I have had to admit that we are coffee snobs. We don't need to drink coffee made from beans cultivated on a specific mountain peak picked by virgins during a full moon but we have found that we have very specific likes and dislikes when it comes to our favorite brew. Stewarts coffee, an upstate New York treat, is our favored brew. We brought 5 bags of it with us when we started our grand adventure. Mary and Becky have generously sent us more. Lissa and Clay have sent of a wonderful blend from Stew Leonard's that we have come to appreciate since she has become a Connecticut commuter. We are grateful to them all. We have consumed most of it and now down to our last few familiar beans we set out to visit Coffee shops in nearby Ashville North Carolina in search of the perfect cup. Our first stop was Ashville Coffee Roasters, located at 85 Weaverville Highway in Ashville. The shop was easy to find and has excellent parking available. It is a delightful place, very relaxed and casual as a coffee shop should be. We stayed for a while talking to Greg and Andi, comparing New York places and experiences, as well as which Ben and Jerry's ice cream flavor was the best. We could not believe that Andi had never experienced Ben and Jerry's Coffee Coffee Buzz Buzz Buzz or Pistachio flavors. She is a big fan of Pistachio ice cream so Fred called her later at the store when we found that flavor in a local supermarket. 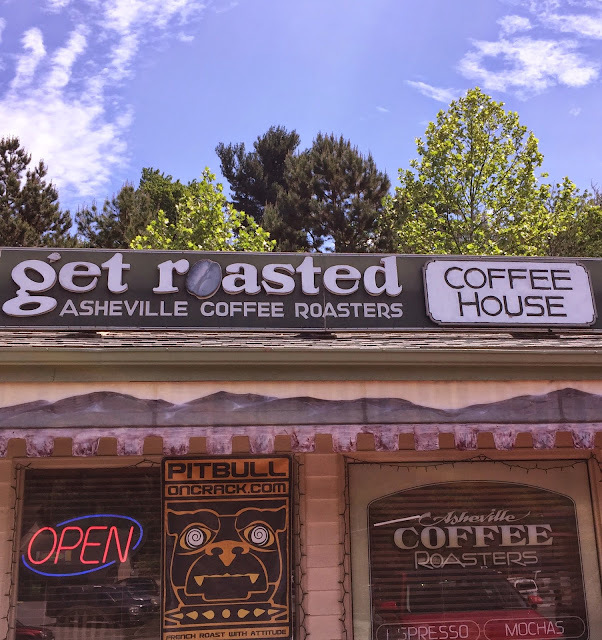 Asheville Coffee Roaster's signature French Roast called Pitbull on Crack was a little intimidating as we prefer a mild and earthy flavor. 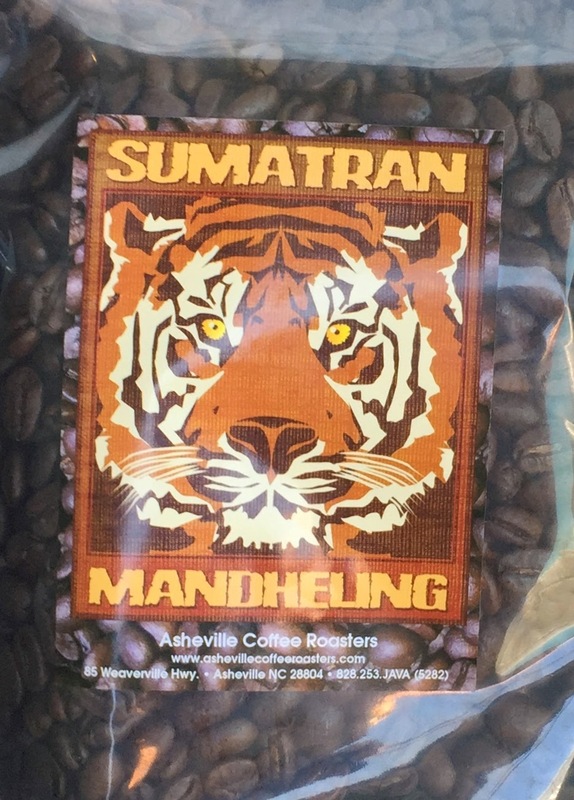 Co-owner Andi recommended their Sumatran Blend which we found to be delicious and has the benefit of being extremely low acid. We replenished our dwindling coffee supply with a pound. Greg told us about originating the Ashville coffee shop bus. He acquired the bright red 1963 double-decker English bus in 1999 and turned into an Ashville landmark. The bus is still a coffee shop and a great place to stop when you are downtown near it's Biltmore Avenue location. Fred and I enjoyed looking through the photo album that they made to remember the bus by as they moved to their new and much roomier location. 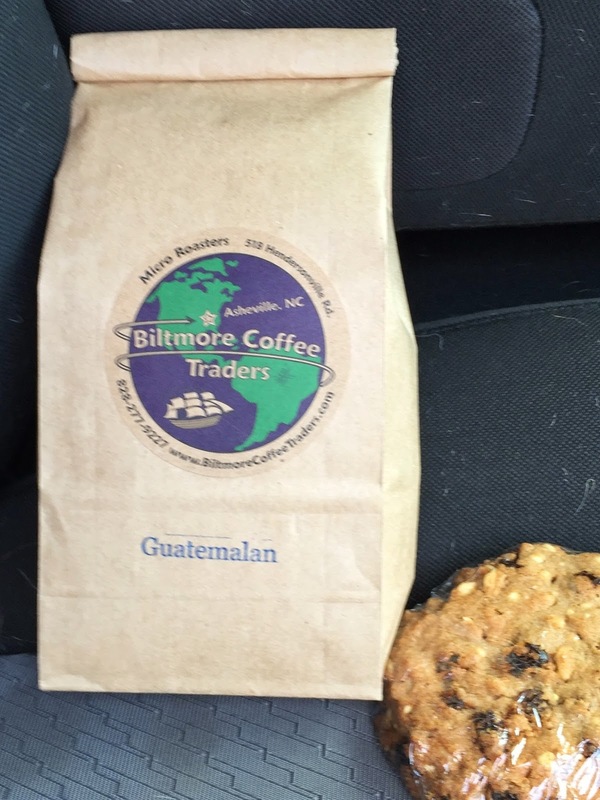 We moved down the road to Biltmore Coffee Traders located at 518 Hendersonville Rd. in Asheville. The shop has a drive through for those that prefer to order ahead. 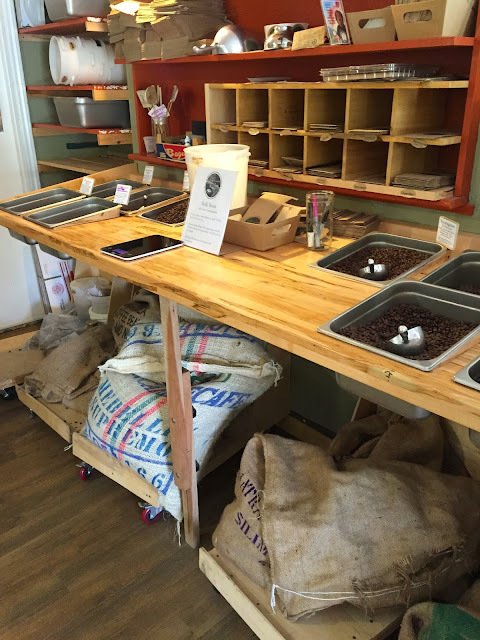 Biltmore Coffee Roasters is a spacious 2 rooms with plenty of seating and free WiFi. There is a lovely garden in the back. Biltmore is also a bakery and offers a selection of teas and local crafts as well as their signature coffees. Laura and Rick Telford pride themselves on their micro roasts. I had had enough coffee by this time. Fred spoke with Rick at length about the different beans and Rick made him a robust cup of Guatemalan coffee. We brought a pound of those beans back to the Behemoth too. 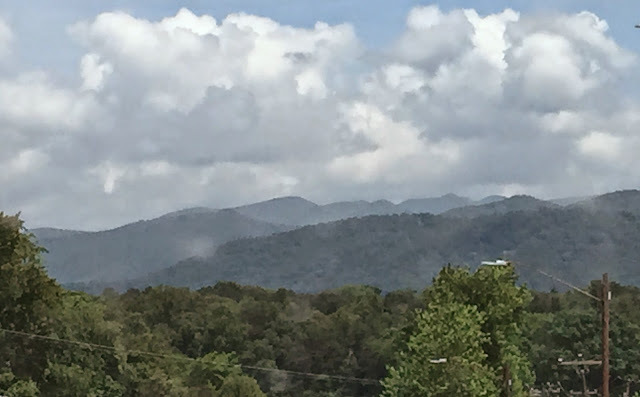 Coffee Crisis averted we drove the 30 miles back to Marion enjoying the mountain views.